EAA AVIATION CENTER, OSHKOSH, Wisconsin — (September 13, 2018) — Jack Roush, the champion NASCAR race team owner who has become known as the “Cat in the Hat” on the racing circuit, will have his aviation passion recognized on November 8 when he is inducted into the EAA Warbirds of America Hall of Fame as part of EAA’s annual induction of notable people from throughout the sport aviation community. The induction dinner on November 8 will be held in the EAA Aviation Museum in Oshkosh, Wisconsin, and also includes inductees from the homebuilt and vintage aircraft areas, as well as those involved in aerobatic flight and in ultralight flying. 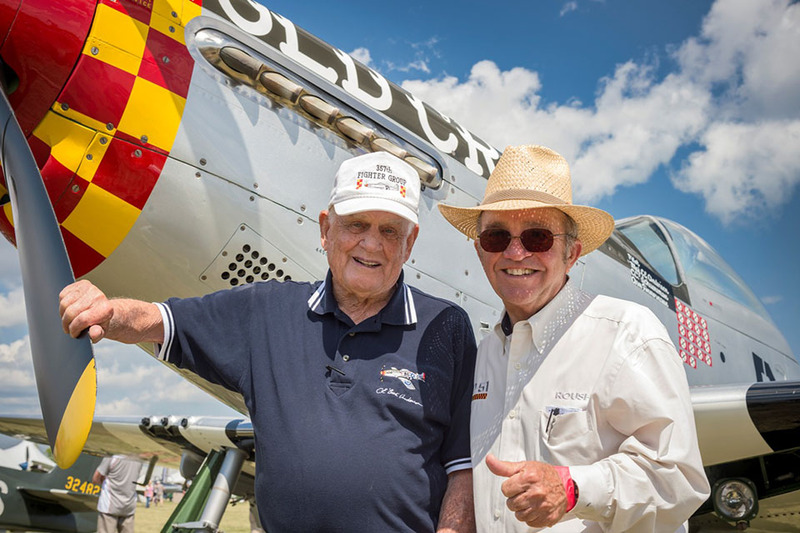 He is perhaps best known for the restorations of the P-51 Mustangs named “Old Crow” in honor of World War II triple ace Clarence “Bud” Anderson. During that war, Anderson was credited with 16¼ air victories as part of the famed 357th Fighter Group. As a race team owner, Roush has won 137 races and two championships in NASCAR’s top series. He began his career at Ford Motor Company in the 1960s before moving to full-time racing development work. Roush has also claimed team championships in sports car and drag racing during his career. He was inducted into the International Motorsports Hall of Fame in 2006.